saw010731 SCOTLAND (1947). Nithsdale, general view showing the valley of the River Nith between Kirkconnel and New CumnockÃ¢â‚¬â„¢. 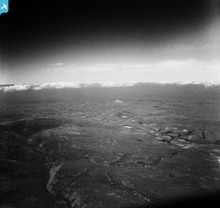 An oblique aerial photograph taken facing west. 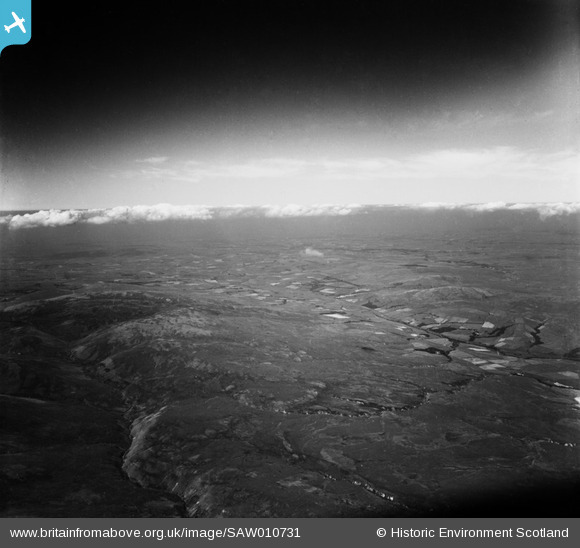 Title [SAW010731] Nithsdale, general view showing the valley of the River Nith between Kirkconnel and New CumnockÃ¢â‚¬â„¢. An oblique aerial photograph taken facing west. LMS and ex G&SWR railway line from Kilmarnock to Dumfries which formed part of the main line from Glasgow St. Enoch to Carlisle. Polneul. On Google earth we can see the buildings which stand out in white on the photograph. Well not quite Newton Stewart but Kirkconnel some 50 miles distant. I had identified that there was a railway in shot some time ago but I had been looking closer to Newton Stewart. Today I was lucky and it all came together. Polneul was the decider for me when I discovered the traces of the white buildings. The A76, the railway and the River Nith were together and fitted. The field boundaries and the burns all fit. This is a confirmed identification. Today the area features a prominent wind farm which proves that even in this relatively remote area there are significant changes to the scene. Thanks for Identification! I have checked this against the modern OS, and the field system and woodland around Glen Hall confirm the location for me. Thank you Brian for your kind comments. A view looking west over the valley of the River Nith between Kirkconnel and New Cumnock.